1200D nylon material. Leather look carry straps and trims. Removable and adjustable shoulder strap. Outer zipped pocket. 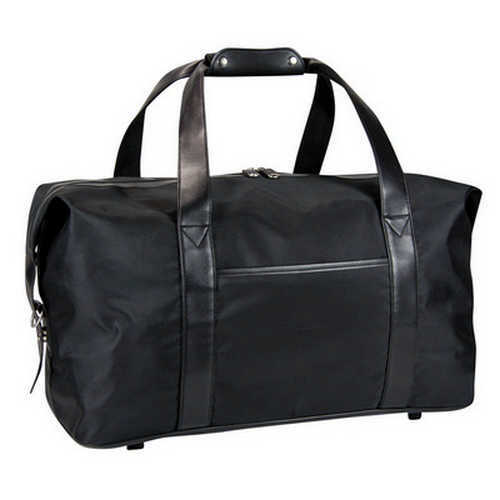 Compliments the ladies laptop bag G1224. Product Size: 500 x 250 x 390mm. Product Packing: Bulk packed. Decoration Size: 160 x 80mm. Decoration Position: Either side of bag. Decoration Method: Screen Print. Carton Quantities: 5. Carton Size: 54 x 41 x 29. Carton Weight: 16. Colour: Black. Price includes : Screen Print 1 Colour / 1 Position. Setup is included.